The world is on the brink of a chocolate supply crisis owing to the instability in cacao growing areas and soaring demand in developing countries, an expert has warned. According to David Guest from the University of Sydney's Faculty of Agriculture and Environment, farming methods used by cacao bean growers are in dire need of modernisation. He warns that global production of cacao, the raw ingredient in chocolate, must increase nearly a quarter by 2020 to keep up with demand from China and other rising economies. However, cacao growing regions remain some of the most undeveloped and unstable parts of the world and farmers face significant challenges in bringing production up to speed. 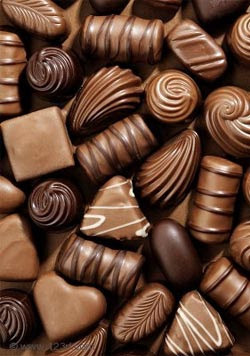 Dark, delicious and decadent, the rich flavour of chocolate has inspired passions, addictions and even literature for more than three thousand years. Not just appetising, it also has known health benefits, including reducing blood pressure and enhancing psychological happiness. However the main cacao-producing regions are West Africa, South America, Southeast Asia and the Pacific, all areas vulnerable to threats of climate change, political instability, pests and diseases. Professor Guest and his colleagues have travelled to some of these areas to promote sustainable farming practices for the prized bean. He has worked with farmers to select better cacao genotypes, to teach improved methods of crop and soil management and find out what can be done to improve technical support given the constraints growers face. Without education and access to modern methods, these growers face falling being unable to keep up with rising demand. "One estimate is that global production will need to increase by one million tonnes per year by 2020 - from 3.6 million tonnes in 2009 and 2010 - to meet global demand," the Daily Mail quoted Guest as telling The Register.